A combination of mystical symbolism with practical use, this tea light holder doubles as an altar plate. 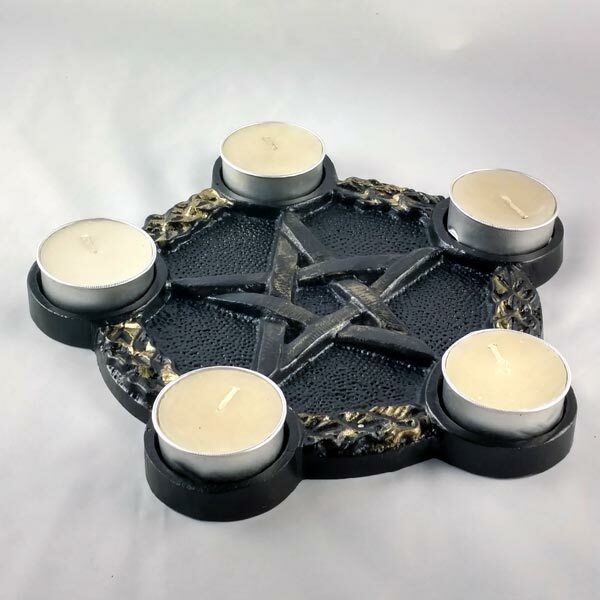 Displays a Pentagram, with five smaller Pentagrams settled at each of its points that fit tea light candles (included). You could also use my ceramic thimble mini taper/chime holders to hold candles in elemental colors. Cast metal, 7” in diameter x 3/4” high.